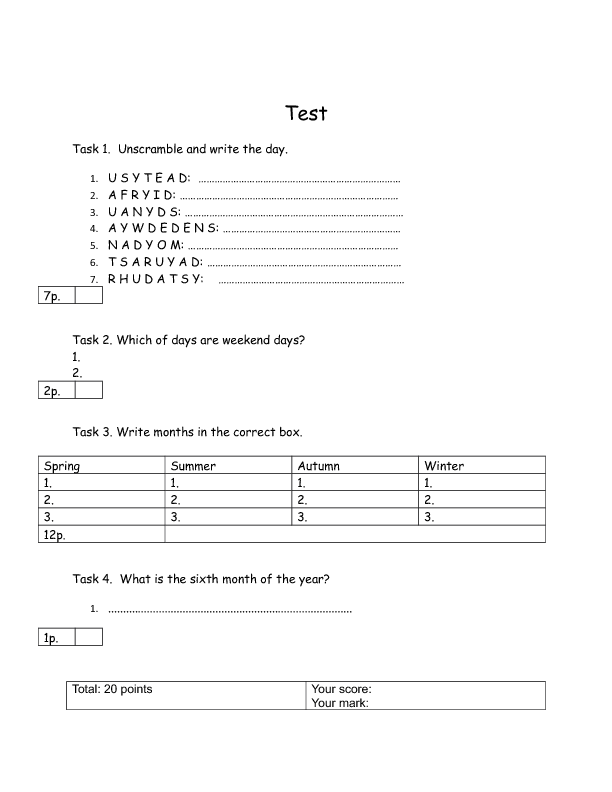 This is a short test for elementary students. It's an opportunity to check vocabulary on months and week days. You can use it in your class. Test should be written in 10-15 minutes. Evaluation system is given. I recommend to give this test after two lessons of teaching this topic.